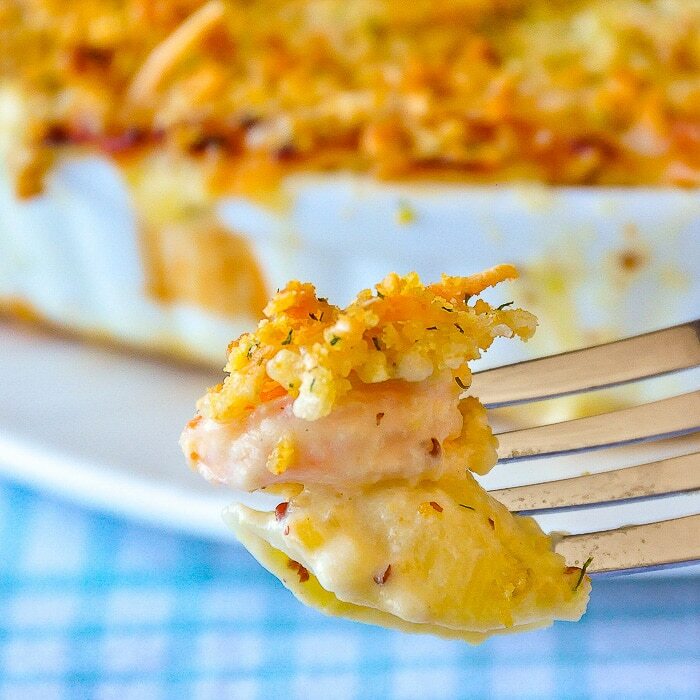 Seafood Shells & Cheese - Shrimp Mac & Cheese fit for a dinner party! This seafood shells & cheese recipe is basically fancified mac & cheese. Make it as Shrimp Mac & Cheese, Lobster Mac & Cheese or Scallops Mac & Cheese! 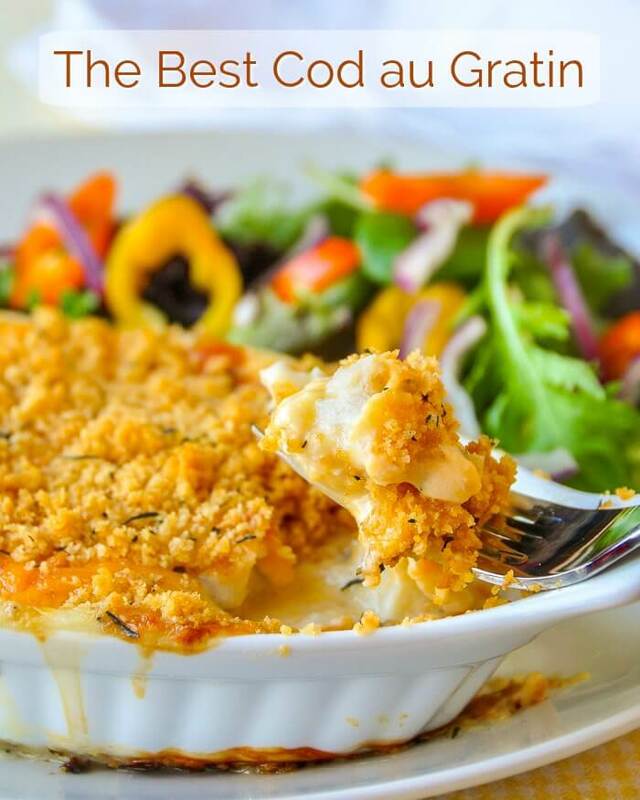 Smoked cheese in the sauce and ground almonds in the crumb topping makes it extra special. This seafood shells recipe is comfort food elevated to a whole new level. This is a versatile dish that can be used with any seafood you like really. I most often make it very simply with shrimp for an inexpensive indulgence but you could easily use lobster, scallops or crab as well. For special occasions, a combination of any of those would be incredibly delicious. I love the slightly smoky note of the smoked cheese in this recipe but if that isn’t to your taste, just use an un-smoked variety. Mild cheeses will work best in this recipe, so substitute another that you may like better too. This is quite a rich and indulgent dish, so a little goes a long way. 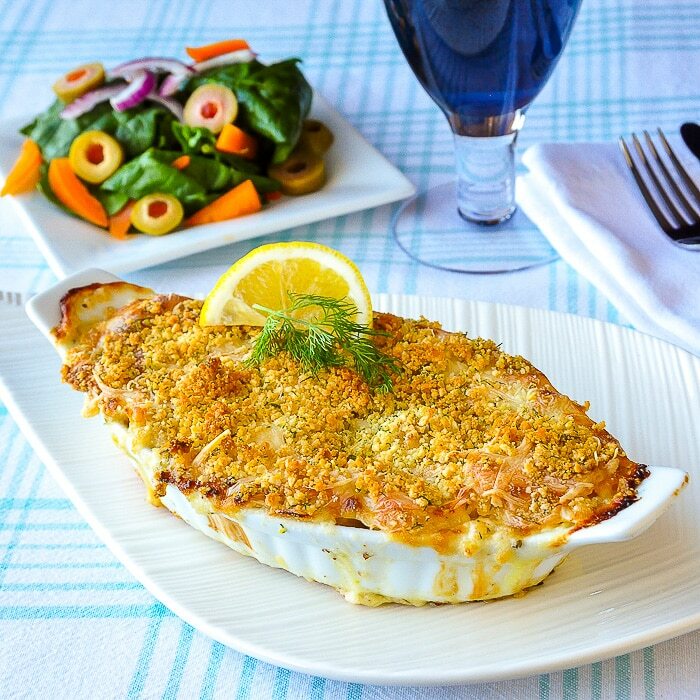 One of my favourite ways to serve it is in individual small gratin dishes as the first course at a celebration dinner party, where it can be enjoyed to it’s fullest when serving something a little lighter as the main course. 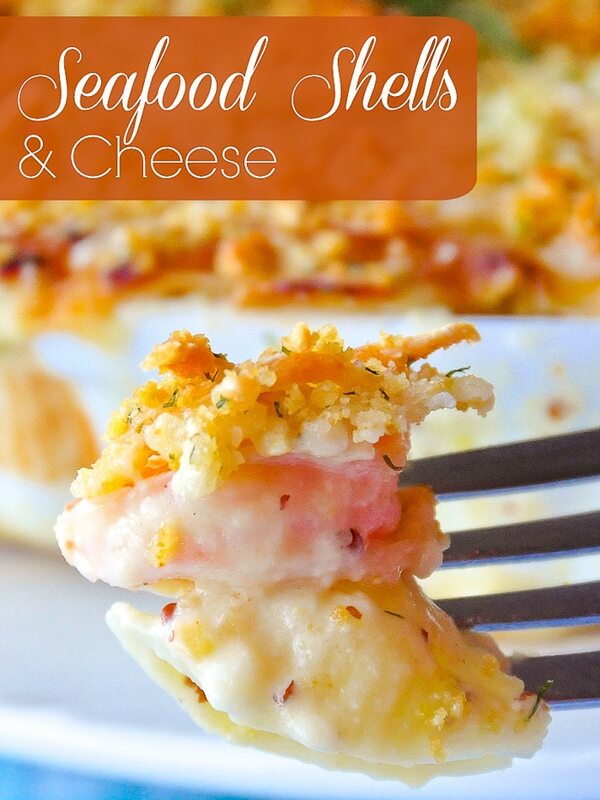 Like this Seafood Shells and Cheese recipe? Originally published Oct 20, 2007, Updated Dec 2017 to include the option for metric measurements and to provide nutritional information. Yield: 4 servings, or up to 8 as an appetizer course. Seafood Shells and Cheese. A rich, indulgent version of mac and cheese ideal for a celebration dinner. 4 ounces Monterey Jack, Emmental, Swiss or Jarlsberg Cheese, your preference. Cook the pasta in salted boiling water to al dente. Do not over cook it. Slightly undercooked would be preferable. Begin by lightly steaming the seafood. It is important not to over cook the seafood for this recipe. Under cooking it by 5 minutes or so is preferable because the seafood does get reheated and cooks somewhat in the oven as well. Shrimp and scallops can be used uncooked if you prefer. Uncooked large shrimp or medium size scallops or large chunks of cooked lobster, crab or cod or a combination of all work well. It might be me but I cannot seem to find where it indicates how much pasta to cook. Help please. Thanks. There was a copy and paste error there from earlier today when the recipe was reformatted. Thanks for catching it. Fixed now. 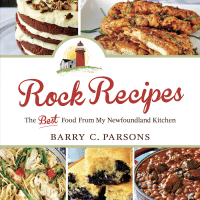 This recipe is awesome… don’t skip the smoked cheese… It makes it very special! I made this, exact to the recipe, ritz crackers and all, used lobster and scallops and smoked cheeses…cannot tell you how good this is!!! It really is such a great comfort food recipe. Definite keeper.